The via combusta is also known as the burned path or the fiery road, names that make the area sound grim. But where is it exactly? Although in the distant past there were a few different ideas on its exact location, accepted astrological tradition states it to be a 30 degree stretch between 15 degrees libra and 15 degrees scorpio inclusive. 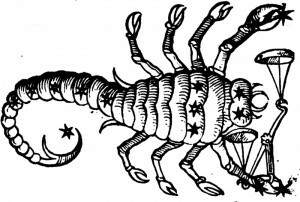 In antiquity libra was actually part of the constellation scorpio and Claudius Ptolemy refers to the constellation of libra as ‘the Claws of the Scorpion’(1). It has always been regarded as an ominous area of the chart throughout the ages. 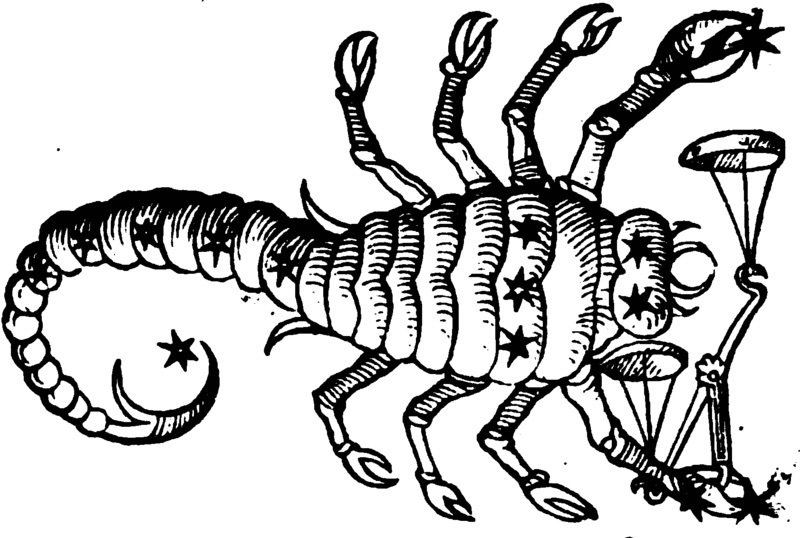 Ancient stargazers worried about any planet arriving at this point, symbolically caught in the scorpion’s claws. We will probably never know the reason for the malefic association with this stretch of the zodiac but the reputation of the via combusta persists. In an electional chart it served as a warning, foretelling of difficulty or trouble ahead – not a good indiction to commence any venture. In a horary chart it served the same purpose and was an indication to defer judgement until the astrologer was better informed. Libra marks the start of the Autumn Equinox when the sun’s power wanes but both lights are affected in the signs that contain the via combusta. The sun is in fall in libra, the moon in scorpio. This area is opposite their exaltation signs of aries and taurus. Further uncongeniality is emphasised if we recall that libra is the exaltation of saturn and scorpio is the domicile of mars. The greater and lesser lights are overcome by the greater and lesser malefics. The power of the luminaries is weakened hence this area’s link with danger. Because the sun and moon represent one’s life force and soul respectively, anything that diminishes or obscures them should definitely be avoided. 1. Claudius Ptolemy. Tetrabiblos. Book 1. Chapter 9.